Seasonal closures – when, where and why? Roughly half of Pitkin County’s open space lands are closed seasonally or, in a few cases, entirely, for the protection of wildlife. Wintertime closures typically start in December, when snows begin to accumulate and temperatures drop. While black bears hibernate, other large mammals must forage and move about through deepening snow, taxing their energy reserves during the harshest months of the year. 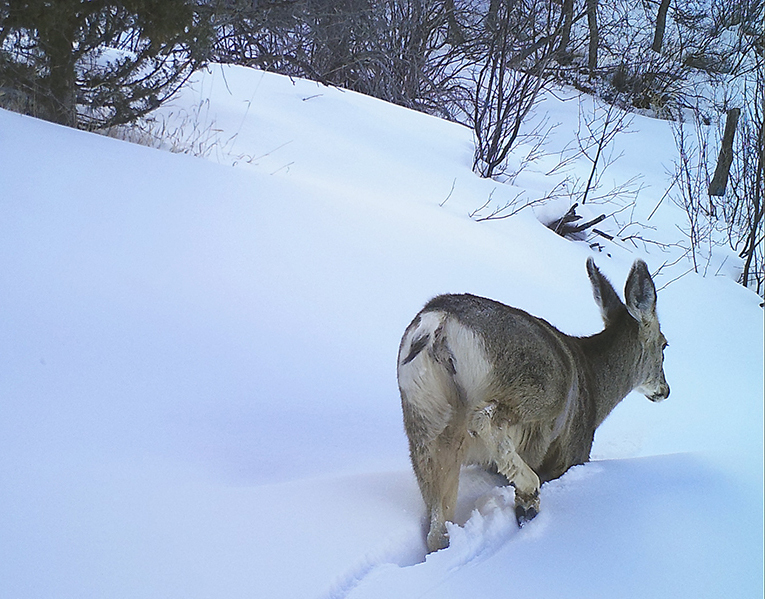 In addition, the females are often pregnant with young that will be born in the spring or early summer, adding to the challenge of finding enough to eat as shrubs and grasses disappear beneath the snow. The absence of humans means elk, deer, bighorn sheep and other species don’t have to expend energy unnecessarily in reaction to human presence. 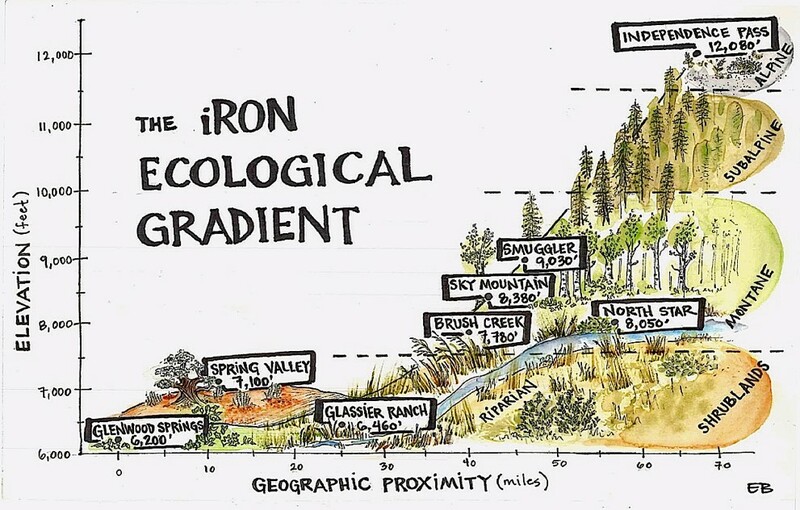 A schematic of the elevations and ecosystem types for the iRON stations. Two stations are located at North Star Nature Preserve, which is why there are only 8 elevation points for the 9 total stations. Image Credit: Ellie Barber. As the leaves changed last month, the colors welcomed in a new year — a new water year. In order to include even early season snowpack in hydrological planning, a water year differs from a calendar year by running from October through September instead of from January to December. This allows water that fell snow as snow in early winter to be included in the same year as the spring streamflows it drives. Having a water year that begins in October makes sense from a soil perspective as well: this fall’s soil moisture plays an important role in next year’s water supply. The average person might call it a swamp. The average rancher might want to drain it. 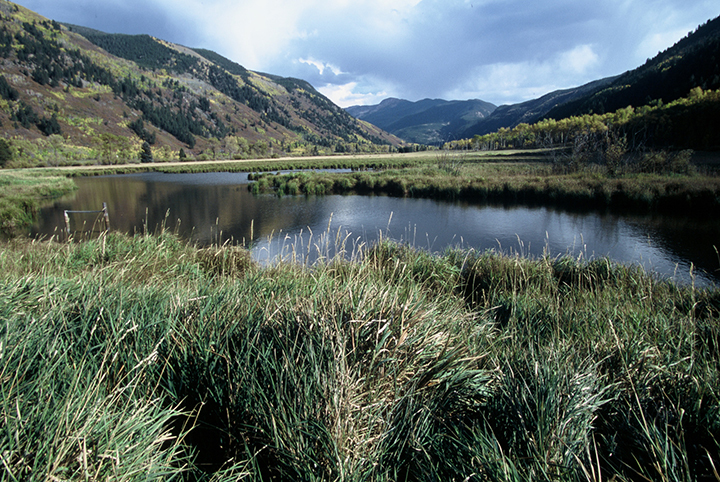 But a fen, like the one at North Star Nature Preserve, an open space property near Aspen, is actually an “old-growth” wetland that can be thousands of years old. A fen is a groundwater-fed wetland with saturated organic soils commonly known as peat. Fens develop when the rate of plant growth exceeds the rate of decomposition of plant litter. The result is the accumulation of organic matter, i.e. peat.